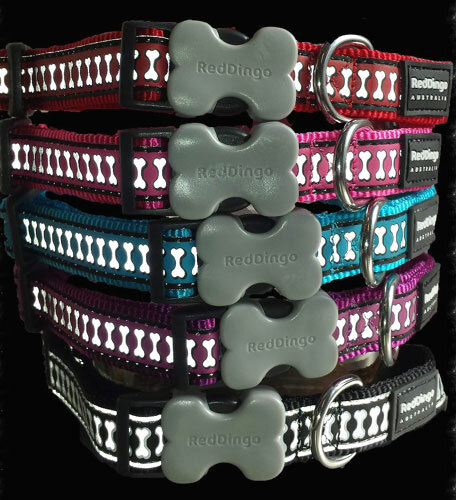 These reflective dog collars are the usual high quality tough nylon collars you expect from Red Dingo with the additional feature of a light reflecting bone design along the entire length of the collar. 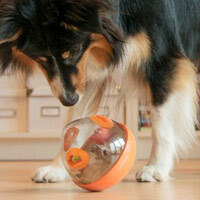 We know your dog's safety matters. 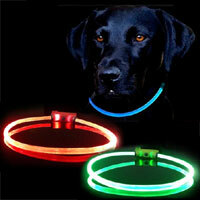 Make sure they are seen and safe in low light conditions with these reflective collars. No lights, batteries or attachments required. 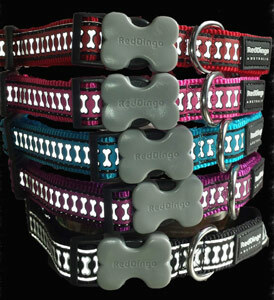 They look like a normal collar in the day but as the light fades the reflective bone design starts to shine. Made from high density, tough and fray proof woven nylon. 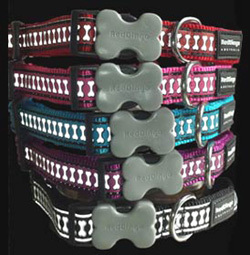 This makes them durable and also reduces the wear and tear that collars can suffer from. They are also machine washable. Just pop them into a bag in the washing machine and they come up as good as new. 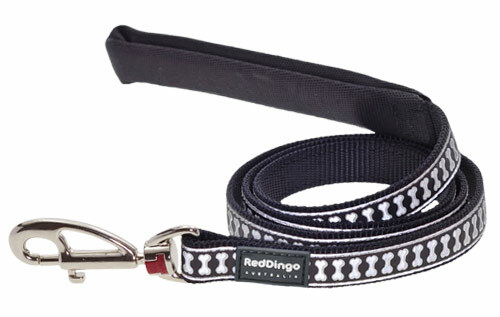 Other features include solid stainless steel D-rings and the Red Dingo trademark buckle bone side release buckle. Available in four adjustable sizes. 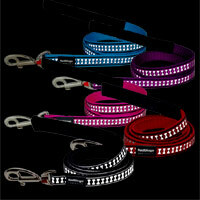 Matching leads also available. 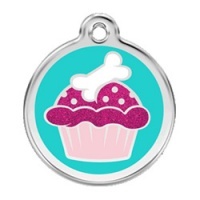 Have bought from this site before. Really like the quality of the products as they last well. Will definitely purchase again. I like the extensive range of products now available too! Great product and fast delivery, would highly recommend! 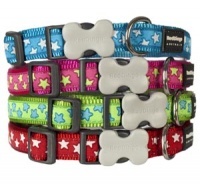 This collar was put to the test on day one on a hyperactive lab! Strong, durable and excellent value.